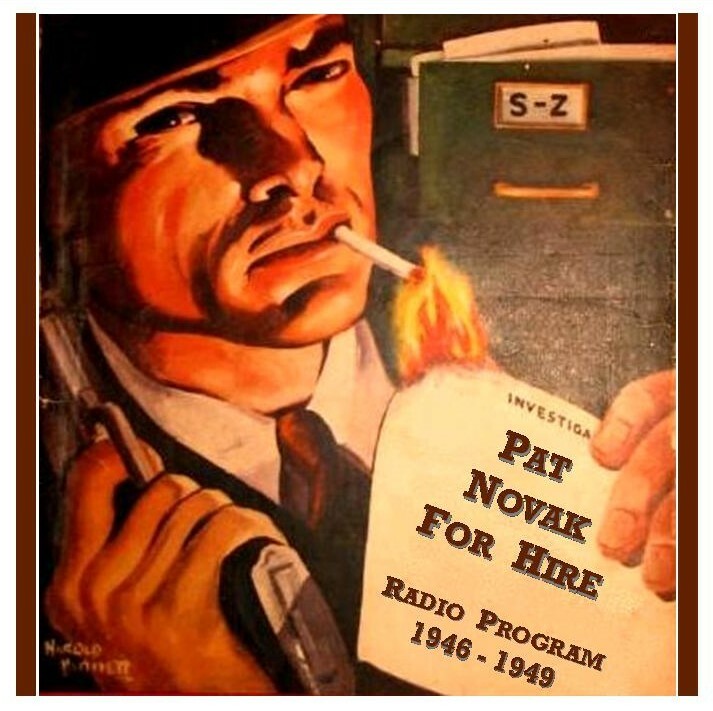 Pat Novak, for Hire was an old-time radio detective drama series which aired from 1946-1947 as a West Coast regional program and in 1949 as a nationwide program for ABC. The regional version originally starred Jack Webb in the title role, with scripts by his roommate Richard L. Breen. When Webb and Breen moved from San Francisco to Los Angeles to work on an extremely similar nationwide series, Johnny Modero, for the Mutual network, Webb was replaced by Ben Morris and Breen by other writers. In the later network version, Jack Webb resumed the Novak role, and Breen his duties as scriptwriter. The series is popular among fans for its fast-paced, hard-boiled dialogue and action and witty one-liners. Each episode of the program, particularly the Jack Webb episodes, follows the same basic formula; a foghorn sounds and Novak's footsteps are heard walking down the pier. He then pauses and begins with the line "Sure, I'm Pat Novak . . . for hire". The foghorn repeats and leads to the intro theme, during which Pat gives a monologue about the waterfront and his job renting boats. Jack Webb narrates the story as well as acts in it, as the titular character. Playing the cynic, he throws off lines such as "...about as smart as teaching a cooking class to a group of cannibals". He then introduces the trouble in which he finds himself this week. Typically, a person unknown to Pat asks him to do an unusual or risky job. Pat reluctantly accepts and finds himself in hot water in the form of an unexplained dead body. Police Inspector Hellman (played by Raymond Burr) arrives on the scene and pins the murder on Novak. With only circumstantial evidence to go on, Hellman promises to haul Novak in the next day for the crime. The rapid, staccato dialogue between Webb & Burr is typical of harboiled fiction and is often humorous. Pat uses the time to try to solve the case. He usually employs the help of his friend Jocko Madigan (played by Tudor Owen) - a drunken ex-doctor typically found at some disreputable tavern or bar - to help him solve the case. As Pat asks for his help, Jocko launches a long-winded philosophical diatribe, full of witty and funny remarks, until Novak cuts him off. You'll never be on the right side of things. You'll always be in trouble because you're a bad citizen. You're a shabby half step in the march of progress. You don't know the difference between good and evil. For you, all of human endeavor is a vague blur in high heels.